Brian, originally from North London, turned professional in 1993 to pursue a life in painting following 32 years in Architecture having gained the qualifications BIAT. AIAS. (British Institute of Archlteavrol Technicians and Associate of the Institute of Architects ond SuNeyors). Demands for his teaching skills grew and he ran numerous courses over the years In Britain and abroad but was not until an operation over the ROl PlEA Christmas period of 2014/15 that he finally gave up teaching painting and following a three month recuperation period now concentrates on painting exclusively. Brian has, over a period of many years. even when working in architecture, exhibited his work In many galleries In London. Europe and the USA. Working with a Venetian promoter Brian was able to take part In the Venice Biennale and his paintings were also exhibited in galleries and museums in Italy, Spain, Malta and France. Brian paints in most media but over the past few years has concentrated more and more on his oils. The work is nearly always landscape based using a distinctive style somewhere between Impressionist and abstract but invariably trying to capture a “feeling” in the chosen subject.Brian usually paints in his studio basing his paintings on his experience of the landscape in all its seasons, but now when on location usually paints in pen and wash, being an extension for his love of drawing. In 2008 all four paintings submitted to the prestigious ROI were accepted for their annual exhibition at the Mall galleries in London. The following year when all four submitted paintings were again accepted Brian was elected as a Provisional member of the Institute then following this as an Associate, finally becoming a full member in 2011/12. Brian feels that the accolade of never having had a single painting rejected by the ROI and subsequently becoming elected as a Council member of the ROI has become a great achievement in his painting career. 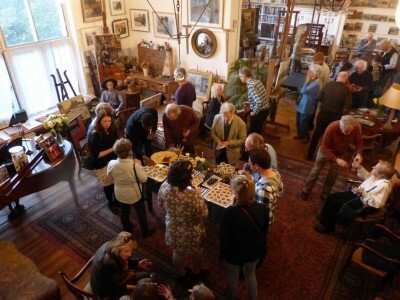 In 2012 with Adrian Hill his agent and gallery owner of Adrian Hill Fine Art he formed the lnstitute of East Anglian Artists) and now, with other elected members, holds an open annual exhibition as well as workshops and demonstrations by various members. Membership of the IEA now exceeds over 30 artists. The aim is not only resurrecting the tradition of past East Anglian Artists but promoting Arts in general within the area and giving some form of goal to aim at for artists in the region. 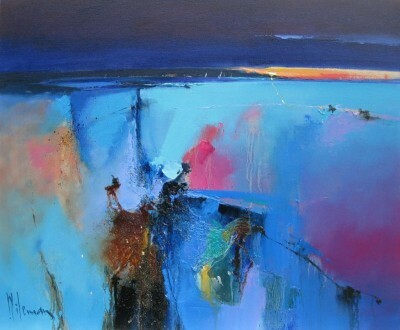 Brian is now on the Council of the ROI, the present President of the IEA and Honorary President of Wells Art Group, has produced four books and six dvds and Is presently considering producing a new book, alongside a retrospective exhibition meanwhile painting as much as possible.